Let's start at the beginning: I love a good metaphor. Or analogy. Or simile. Call it whatever you want, I don't really care. A couple weeks ago, I ran across a really good one, courtesy of Don Boudreaux - suppose you were a restaurant owner who was tasked with selling a single dish to over 100 million people. Which dish would you choose? Mexican? Cajun? Too spicy. Sushi? Too exotic. Lamb? Too gamy. You go down a long list. 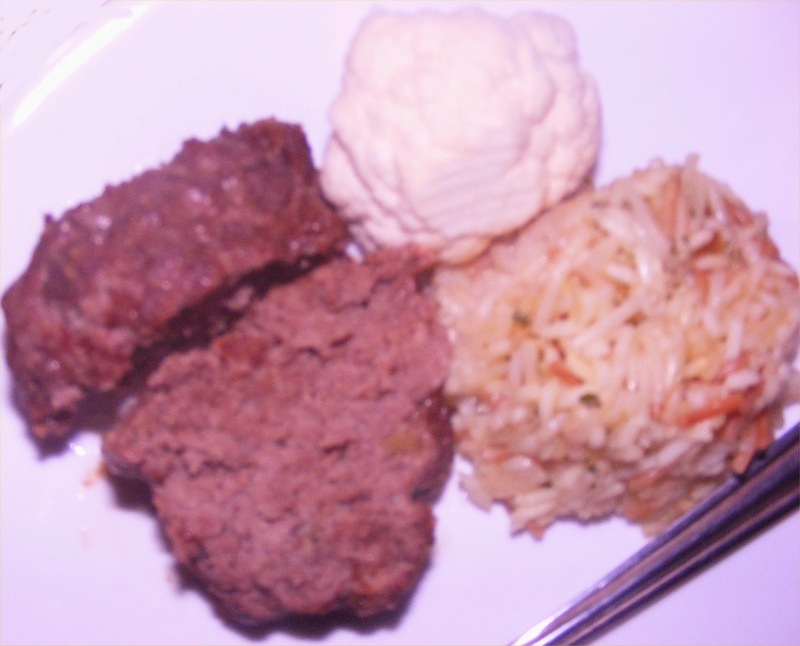 Eventually, you settle upon something that is unquestionably bland and common and uninspiring – something like a plain hamburger, or perhaps a dish of mild meatloaf with mashed potatoes topped only with butter. Anything more exotic than such offerings will, while being much preferred by a few million of the people whose patronage you’re trying to win, will be rejected by a majority of the people. Your rival, of course, faces the same incentives.. This same dynamic, he goes on to explain, is why presidential candidates are so utterly boring and insipid. The goal isn't to become beloved, since that's virtually impossible - it's to be less intrinsically offensive than the other candidate. Though this is certainly accurate, it's also profoundly depressing. Now, it's no big secret that I'm a rather serious fan of a bit more variety in our political diet. Speaking as a card-carrying Libertarian (seriously, the national LP will send you a card if you become a member - it's quite handy for scraping ice off a windshield if you break your ice scraper), I view Libertarians as a group of people that see a menu with two entrees - a plain hamburger and a mild meatloaf with mashed potatoes topped with butter - as a moral affront upon our political culinary senses. So, we set about to create a new restaurant, one that won't even try to sell dishes to 100 million people, but will instead focus on bringing new and novel tastes to the political public. We'd get the dishes out by creating a political potluck, where each person would be free to bring whatever dish they want, just so long as they respect the right of those around them to also bring separate dishes to the potluck. Want to try support for gay marriage in the '70s? Yeah, we can do that. Legalized prostitution? No problem. Bitcoins as campaign contributions? Done and done. What's the problem with that? Well, some people are showing up to the buffet with some really neat and incredible dishes. There's some excellent fusion food getting cooked up here lately, along with some excellent traditional dishes. Trouble is, can you run a restaurant where nine out of ten dishes on the menu are fantastic - better than anything else offered anywhere else, in fact - but that tenth dish makes everyone who tries it violently ill? How long will it take until some unfortunate person tries "Chef's Special #10", or just happens to be downwind of the kitchen while it's cooking? So, what's the solution? Do we kick the bad chefs out of the kitchen? To be fair, we could. It would fly in the face of the Libertarian Party Restaurant ethos, and who knows, maybe one of the dishes being "vetted" out of the restaurant might be really, really good, but we could. How would we do that? Who would be in charge of the "vetting" process? Alternatively, we can rely on public shaming, which seems to be the default solution for now. Shout out from the rooftops that, hey, "Chef's Special #10" is horrible, no good, and probably dangerous. Tell everyone and their mother that Specials 1-9 are way better. Scream at the chef that keeps bringing in that toxic waste in that ancient avocado-colored crock pot to stop coming here, damn it. Make it clear that we don't want to be known as "that restaurant that serves worms and 'organic' Himalayan sea salt and moldy beans" - we want to be known as the restaurant with lots of really tasty dishes, so many that everybody can find something they enjoy. Will it work? I don't know, but I'm excited to find out. * This list of dishes wasn't pulled completely out of my waste orifice - enjoy TLR's Here Are The Top 10 Worst Kinds Of Libertarians.